In our 2018 wrap-up post, we said we had big plans for 2019. Today we’re ready to start sharing (some!) of those plans by announcing more events on our 2019 calendar. Expect to see even more announcements soon about more events in 2019 :) You can keep up with everything planned for this year on our fancy new website. In collaboration with the New York Ethereum community, we are thrilled to be organizing the largest Ethereum event ever held in New York. Last year, ETHSanFrancisco brought the Ethereum community to the doorstep of Big Tech — this year, we’ll be knocking on Wall Street’s door. (Oh, and by New York, we mean Brooklyn — obviously). 👉 Sign up to our mailing list to be notified when applications open! Last year’s ETHIndia was a huge success — more than half of the attendees were completely new to Ethereum, and the event produced some standout projects like InstaDapp. In collaboration with Devfolio, this year we want to do it even bigger and better. Want to see what hackers built at ETHIndia last year? Check out the submissions page here. This fall the Ethereum community is coming to Boston, a city steeped in revolutionary history and today a significant hub for tech and finance. Boston is home to a huge population of talented students attending nearby universities like MIT, Harvard, Tufts, Brandeis, Boston College, and Northeastern. Revolutions start in Boston. We hope you can join us and come meet the next generation of Ethereum developers, and help start a small revolution of your own. 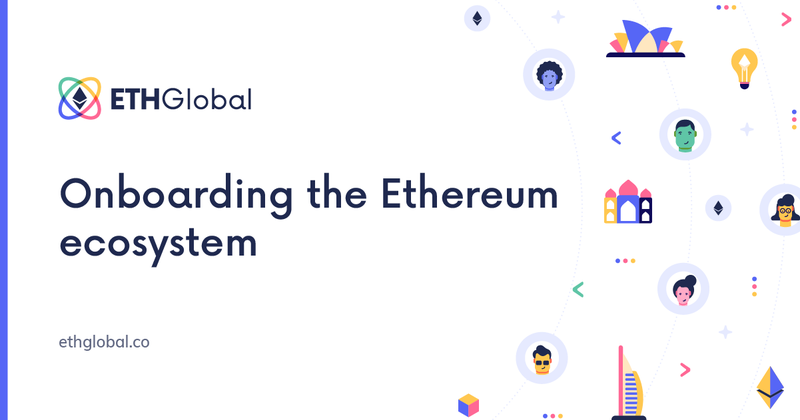 The one that started it all — ETHWaterloo is back in 2019. Held in the heart of Canada’s tech scene, expect to see a huge showing from the massive Canadian crypto diaspora. If you’re reading this, we hope you know about the other events already planned for this year and approaching quickly! 🇫🇷 ETHParis (March 8–10) — Applications are open, apply now! 🇿🇦 ETHCapeTown (April 19–21) — Applications are open, apply now! Stay tuned for more updates — until then, happy hacking.